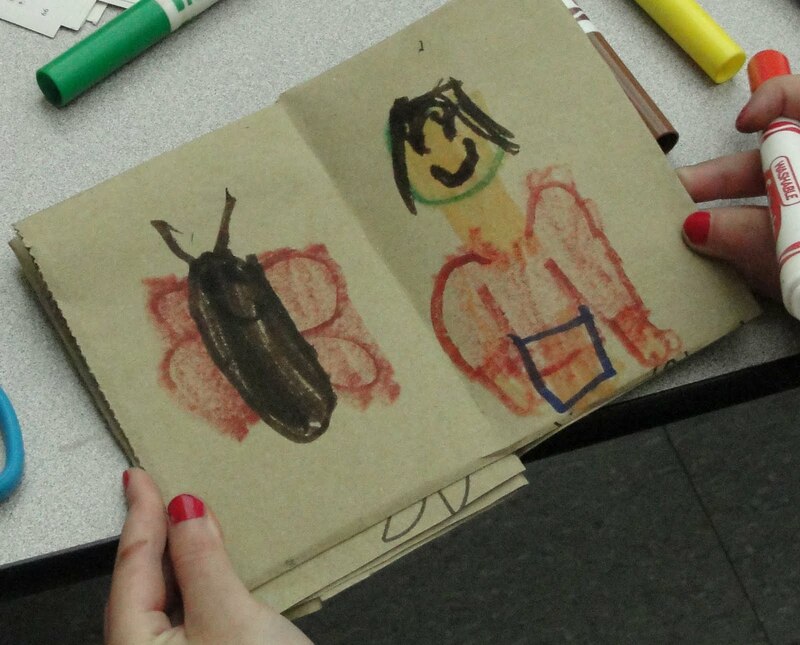 I gave two family bookmaking workshops in Woburn, MA last week for the Title 1 Program. We used brown grocery bags and cereal boxes. I led the thirty plus students along with parents and fourth grade buddies through the making of 2 books using brown grocery bags and cereal boxes. They then filled their books using markers, stencils, and collage papers. I have a large assortment of small stencil books from Dover Publications and they were a big hit with this age. They also enjoyed the collage box. Some made books for their dads for Father's Day. Others wrote stories and drew pictures. I was gratified to hear many parents say that they would be making more books at home this summer—a perfect rainy day activity. You can see photos from the workshop here.